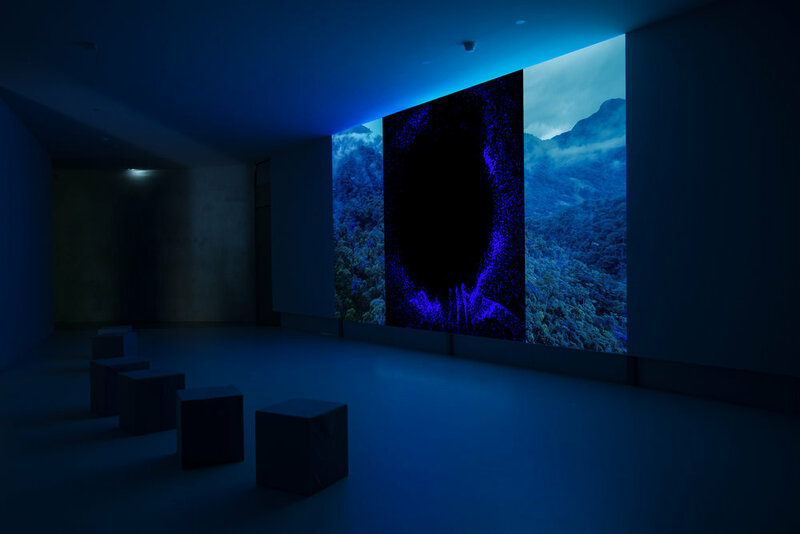 In the exhibition Explosion, the Museum of Contemporary Art Leipzig (GfZK) presents a film landscape composed of several videoworks by Mario Pfeifer, who was born in Dresden in 1981. Curated by Kirsa Geiser, this is the artist’s first comprehensive solo exhibition. Borrowed from the novel of the same name by the ethnologist and writer Hubert Fichte, the title of the exhibition points towards the liberating impact of encounters with different living environments and ways of life all over the world. Mario Pfeifer also works with the empirical methods of cultural anthropology. He travels to various parts of the world, where he works for long periods of time and takes part in everyday life. 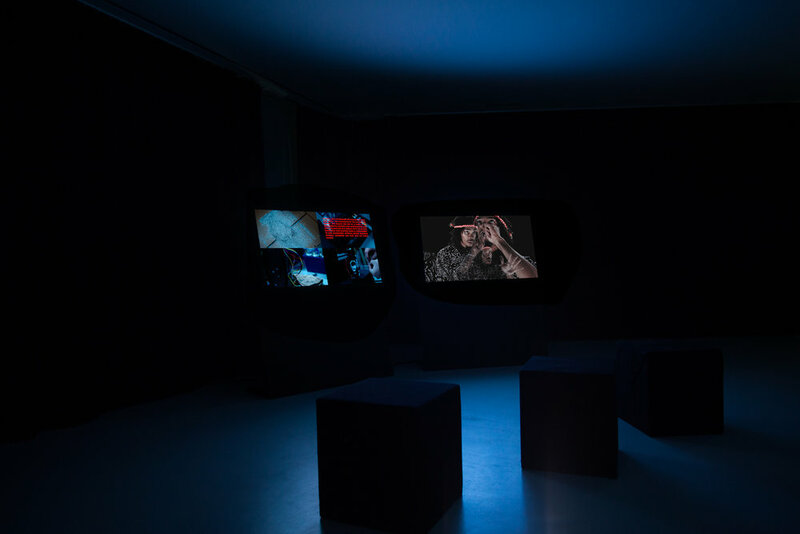 Forms of expression from participatory observation and essayistic documentation are recognisable in his films and video installations, and he repeatedly allows the aesthetics of music video and scientific videos to flow into the film narrative, a method reminiscent of Chris Marker’s essay films. Provocative, desolate, beautiful, fierce, hopeful and kitschy are just some of the adjectives that can be used to describe the intoxicatingly opulent visual world found in these videos. The episodes on communities in e.g. India, Brazil, Chile, USA and Germany are concerned with the themes of labour, religion, ideology, (sub)culture, economy, capital, racism, exploitation, migration and media in terms of their global integration. Pfeifer’s main focus is on the portrayal of a labour class that constructs or destroys identity throughout the world; the performance and impact of this kind of labour is a reoccuring image in his work. 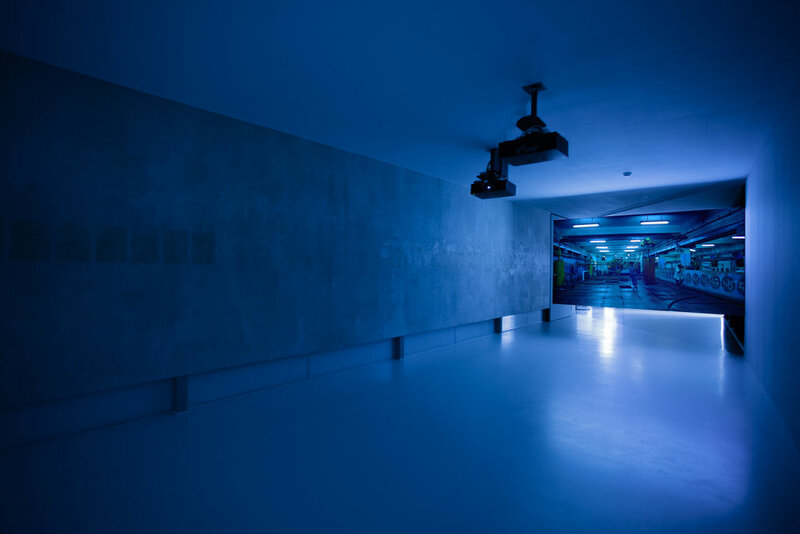 He firmly believes in the ability of his video installations to evoke empathy. In the artist’s view, people all over the world can relate to working processes – as opposed to religion and cultural practices – whether they are in Leipzig, southern Chile or Morocco. The fact that the liberalisation of markets leads to infinitely precarious working conditions, to the benefit of manufacturers and consumers in the rich industrial countries, is a virulent topic that can be viewed as the root cause of wars and migration. However, empathy for the suffering of others is evidently not something that evolves of its own accord. It can arise only by sharing humanist-oriented knowledge of the political, ethical and financial interdependencies that shape today’s world. The neglect of such knowledge in institutional education can lead to the radicalisation of certain “underdogs of the system”, as recently pointed out by the sociologist Didier Eribon in his book “Returning to Reims“. In Germany people are becoming more and more afraid of a possible deterioration in their situation due to the current changes. That is understandable. However, it is difficult to understand why, in an enlightened, affluent world, this fear is offloaded in incidences of violence against the weak. This can only be considered morally reprehensible and unpardonable. However, condemnation alone does not lead to improvement. In order to gain a deeper understanding of this radicalisation, we must ask ourselves certain inevitable questions: what did we, the local elites, do wrong, what did we neglect, what created the space that allowed radicalisation to develop on such a scale? Did we not have the necessary equipment at our disposal? If so, did we use them in the wrong way? These questions inspired Pfeifer’s new work About fear and education, disenchantment and protest, equity and cleavage in Saxony / Germany, produced in Saxony. Various partners from diverse ideological backgrounds and with different motivations were candidly interviewed in a film studio. Pfeifer was interested in the cause for the current increase in radicalisation within our democracy. Up until now, Pfeifer’s film and video installations have generally been shown and received on an individual basis. At the GfZK exhibition, the visitor proceeds through the film landscape with a wireless headphone. Each sound layer is activated according to the movements and positions of the visitors in the room. On the one hand, this will allow the works to be experienced from the perspective of a narrator. On the other, visitors will be integrated within a filmic narrative, with the possibility of subjectively influencing the reading direction. A work of art is not a political instrument, it simply cannot replace any form of politics. In the best case, however, it can be a sectional visual representation of social conditions on all levels. And in the case of this show by Mario Pfeifer, it is a kaleidoscope that provides various perspectives on the current political situation. Special emphasis is placed on the state of Saxony.